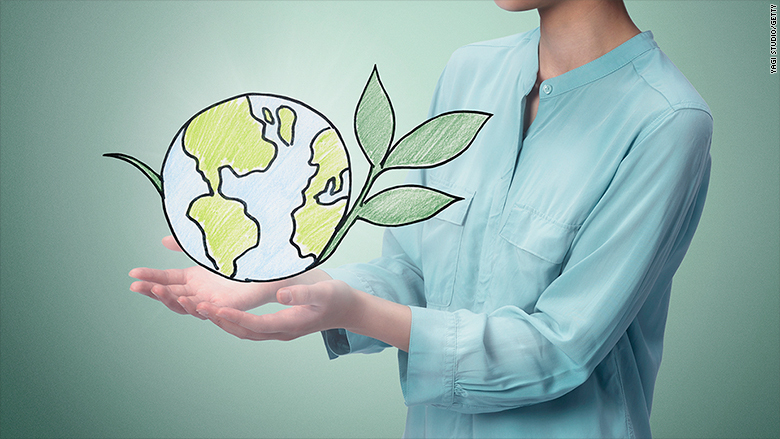 Impact investments aim to produce a social or environmental benefit, as well as a profit. Next time you hear the sound of Kellogg's (K) Rice Krispies in a bowl of milk, listen for echoes of a teacher quietly tapping away on a mobile device while assessing a student in real time. The W.K. Kellogg Foundation's Mission Driven Investment (MDI) arm in 2010 made a $5 million bridging loan to Wireless Generation, a provider of software to schools across North America. The cash helped supply more schools with real-time mobile technology for teachers to assess students as they work. The Foundation, set up in 1930 by the breakfast cereal pioneer, saw a nice fit with its founder's ethos of improving the lives of children. And it made a profit when News Corp (NWS) bought Wireless Generation. This is an example of "impact investing." That's where pension funds, unions, non-profit foundations and individuals place a portion of their investment dollars into funds that promise to make a quantifiable social impact, as well as a financial return. It's not the same as "negative" investing -- refusing to invest in big oil or tobacco. This is not about protesting at a company's annual meeting, or agitating for a change in policy. Nor is it passively investing in companies that vow to be socially responsible. Individuals can invest as little as $20, for example in a Community Investment Note offered by the Calvert Foundation. It has funneled $1.5 billion into smaller projects since 1995, Calvert said. And the impact investing pioneer states that its investors "have benefited from a 100% repayment rate of both their principal and interest." The sector has grown rapidly. There is now at least $114 billion worth of impact investing assets under management, according to a survey of 209 organizations by the Global Impact Investing Network (GIIN), a group of charities, banks, foundations, insurance companies and asset managers dedicated to increasing impact investing. In its 2010 survey, GIIN measured at least $50 billion in this category, when investor awareness was much lower and there were fewer funds available. Housing programs are a major recipient of impact investments. Today, foundations such as Kellogg's MDI, and big banks like Goldman Sachs (FADXX) and JP Morgan (JPBAX), have created funds to funnel a portion of their vast portfolios into impact investments. Increasingly, the boards of foundations, and the wealthy clients of big banks, are pushing them to make a social difference. As millennials get older, and wealthier, funds expect there to be an even greater push for impact investing. The impetus is also coming from younger employees at banks, insurers and foundations who see investing in areas such as education, gender equality, fighting hunger and climate action as compatible with making a healthy return. In a survey of 800 high net worth individuals for this year's U.S. Trust Insights on Wealth and Worth report, many millennials said they had already made impact investments. While each generation shows an interest in social impact, "millennials are by far the most active in evaluating these strategies," according to the report. GIIN CEO Amit Bouri told CNN Money "socially and environmentally oriented investments" will become mainstream "as millennial incomes continue to rise and the generation inherits a massive transfer of wealth from the baby boomers over the next few decades." Where does this money go? 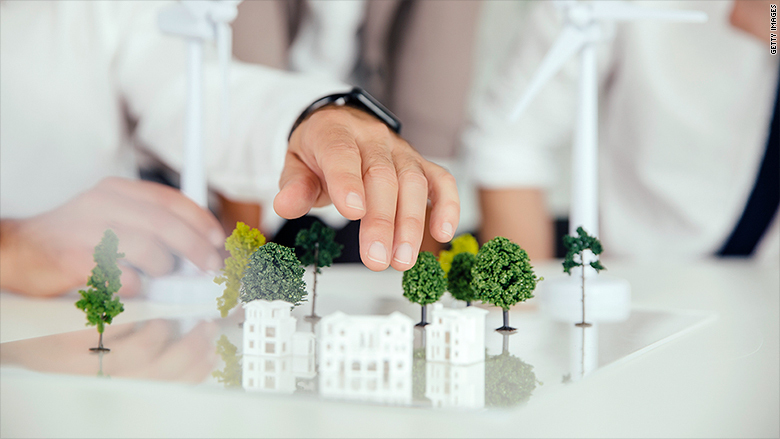 According to GIIN, housing programs are most popular, with about $25 billion invested, followed by energy projects totaling $19 billion and micro finance at $14 billion. The majority of the investments are in the United States and Canada, with $46 billion invested, followed by western and southern Europe at $16 billion, and $11 billion in sub-Saharan Africa. The breadth of these "purpose-driven" financing options has exploded in recent years. Where once socially minded nonprofit groups and foundations would make a micro loan to a small group of women, or for a water purification project for one village, millions are now being pumped into mobile health projects in Asia, pharmaceutical firms in Africa and huge solar projects in Europe.